On television, as the star of the popular Hercules: The Legendary Journeys, Kevin Sorbo portrayed an invincible demi god. He relished living the part—putting in 14-hour days on set, doing his own stunts, and relentlessly working out at the gym. Until one day it all came to an abrupt end. 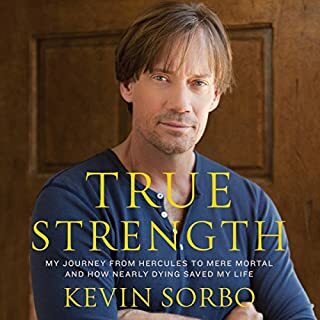 Now, for the first time, Sorbo shares what viewers didn’t know: he suffered three strokes from an aneurysm in his shoulder and was left partially blind and entirely incapacitated at just 38 years old. 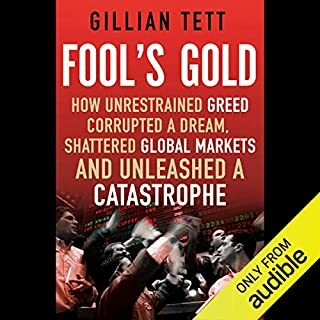 This is without a shadow of a doubt the best book I've listened to since joining Audible. Kevin and Sam's story should be compulsory listening for anyone who is going through a life changing illness or accident. Narrated at a hundred miles per hour which gets really tiring. Far too many pronunciation mistakes as well (Richard Bronson rather than Branson for example. In the second book (Jamie McIntrye) there are whole chapters that are word for word repeats of previous ones. Some interesting ideas but nothing really new. 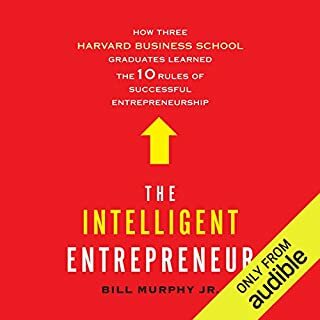 Fascinating book from the perspective of three friends who meet at Harvard Business School and go onto found very succesful but very different businesses. The start of the businesses is in the late 90's but the narrative continues on through the credit crunch and right up to 2010. The insights into the decisions taken by the three people are fascinating and it's interesting to see the mistakes they make and how people can mix up being prepared for being lucky. 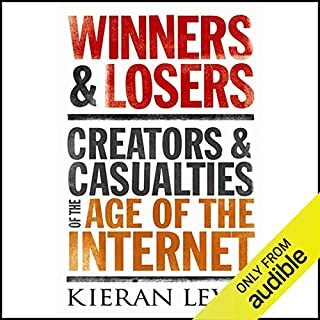 Winners and Losers tells the stories of some of the most innovative businesses of recent times, explaining how a few succeeded in creating and dominating entirely new markets while so many others die in today¹s ferociously competitive online era. Explaining clearly, with many interesting examples, what contributes to success and failure in creating and developing a company. Some fascinating insights into the early days of some of the biggest new age companies around. Especially worth listening to for those who weren't adults in the early 80's. 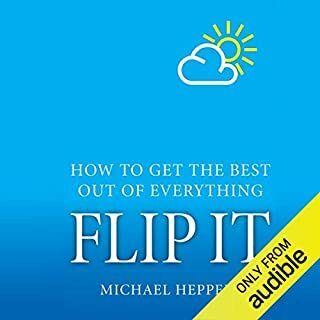 The authors love of Apple and dislike of Microsoft comes through to often for my tastes and the different voices the narrator uses are annoying after a while. A really good listen, if a little hard to follow sometimes with a lot of the players having similiar names. It really does bring home how good intentions can be seized on by others with lower morals. It seems we're all growing more negative. Bad news on the TV and in the papers makes us all feel fed up and we find it easier to talk about what's wrong instead of looking for what's good. But imagine knowing a simple trick that you could use to help you feel better about everything. That simple trick does exist, and it's time to learn how to "Flip It". So-so book. The whole principle of the technique was pretty much exhausted in the first twenty minutes. The rest of it was just ad-nauseum covering of the same ground. 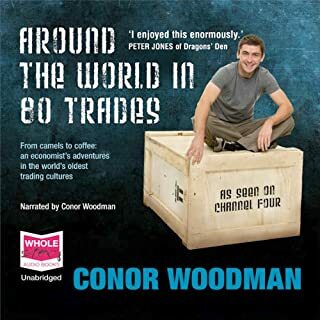 Market Analyst Conor Woodman decided to test his negotiating skills and eye for a bargain against some of the world's oldest trading cultures. He sold his house to finance the trip and plans to return with a lot of money. Whether trading teak or tea, surfboards or seafood, Conor goes head-to-head with the best operators in the world's most hotly-contested markets. Was the TV program a mirage? Not a bad way of passing some time but nothing particularly enthralling. I watched the TV series and I was hoping the book would provide some insight into the mechanics of making such a program but there is no mention anywhere in the book that the TV show existed. It's all written as though he did the whole thing on his own which I find very strange as we know he didn't. What a book and what a man! Truly inspirational. I never really knew what to make of Armstrong as my only opinions of him came from newspaper reports. 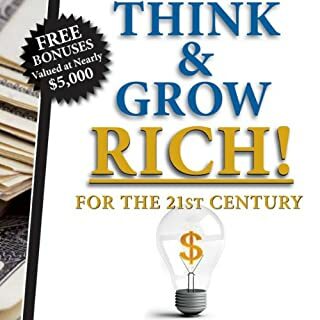 After listening to this book he is now firmly at the top of my list of people I want to meet. 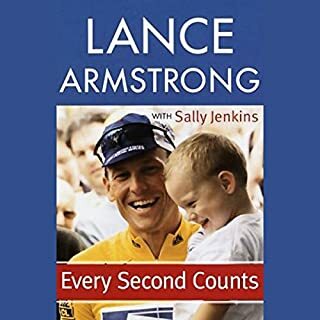 There are some fantastic insights into how the media lies and spins plus the amazing sportsmanship that is still alive in this day and age in the Tour De France. The insights into his personal life, his religious views and what makes him who he is are without doubt the real gold of this book. Compared to the books by his fellow dragons and Branson for that matter this is a poor showing. 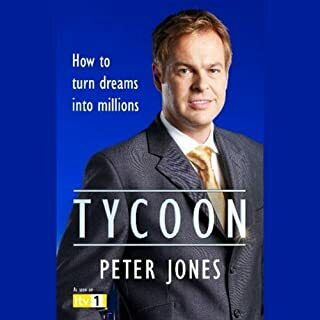 There is a lot of repetition and I'm far from sure that Peter has the right voice for an audiobook. I found it very hard to give this book my full attention and my mind wandered a lot while listening to it.